Completed in 2006, the Leslie Dan Faculty of Pharmacy located in the heart of Toronto's Discovery District provides state of the art research facilities in the fields drug discovery, pharmacology, pharmaceutics and pharmacokinetics. 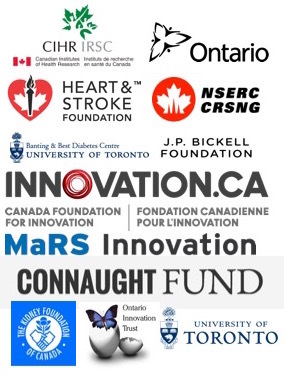 The building's proximity to rest of the University of Toronto along with Mount Sinai Hospital, Toronto General Hospital, Princess Margaret Hospital, and SickKids fuels the collaborative research efforts on going in the faculty. 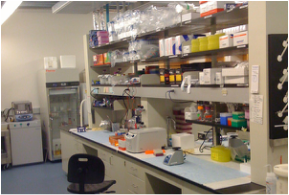 Our main lab is where most of the molecular biology work is done such as Q-PCR, western blotting and ChIP experiments. 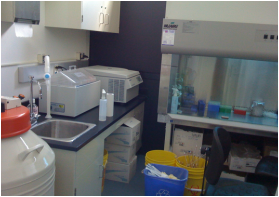 Equipped with a biosafety cabinet and microscopes, our tissue culture room is dedicated for growing and manipulating cell lines. Our analytical lab is used for the analysis of small molecules and peptides. 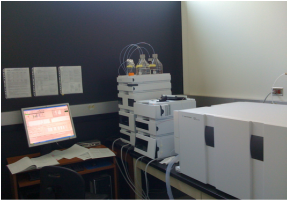 It houses our lab's HPLC-MS/MS that we use for a wide variety of experiments ranging from drug metabolism studies to targeted quantitative proteomics.